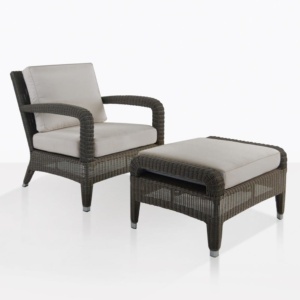 A brilliant pairing, the Sophia Relaxing Chair and Wicker ottoman are beautiful, functional and incredibly comfortable. 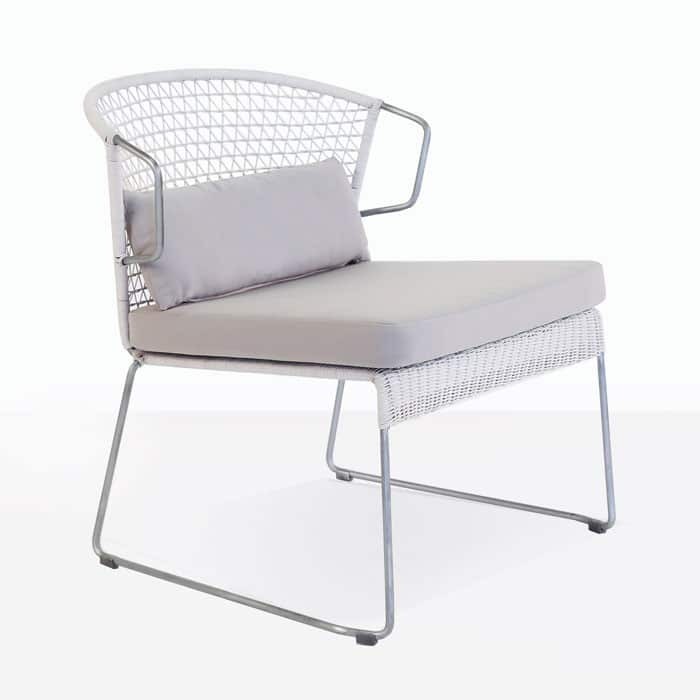 This is the type of relaxing furniture you want in your outdoor space. 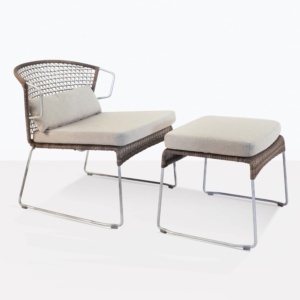 Made from materials that are weather resistant and able to be used year round outdoors, and built with comfort in mind, this relaxing chair and ottoman are perfect companions for relaxation. 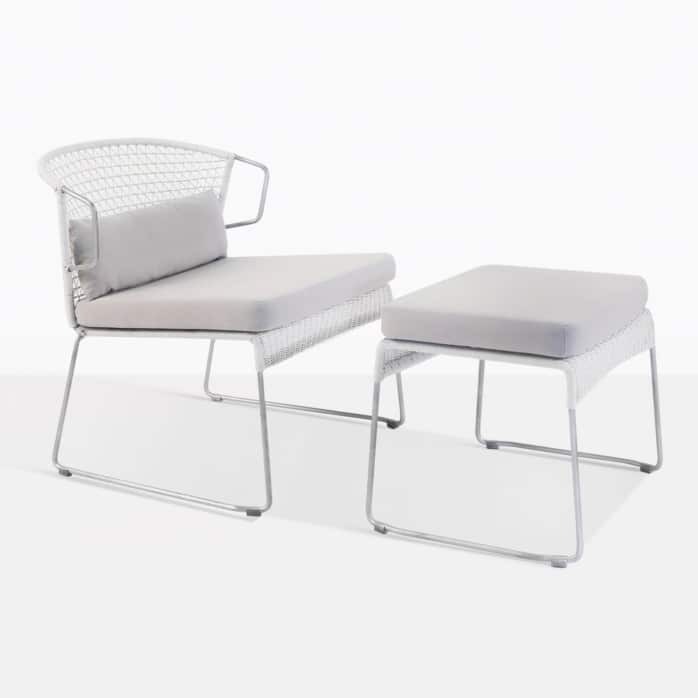 This combination is made with galvanized steel framework, tightly wound Ecolene® synthetic outdoor wicker and luxurious Sunbrella® outdoor fabric covered cushions. Three cushions are included in the price: a lumbar support and seat cushion for the chair and a top cushion for the ottoman. 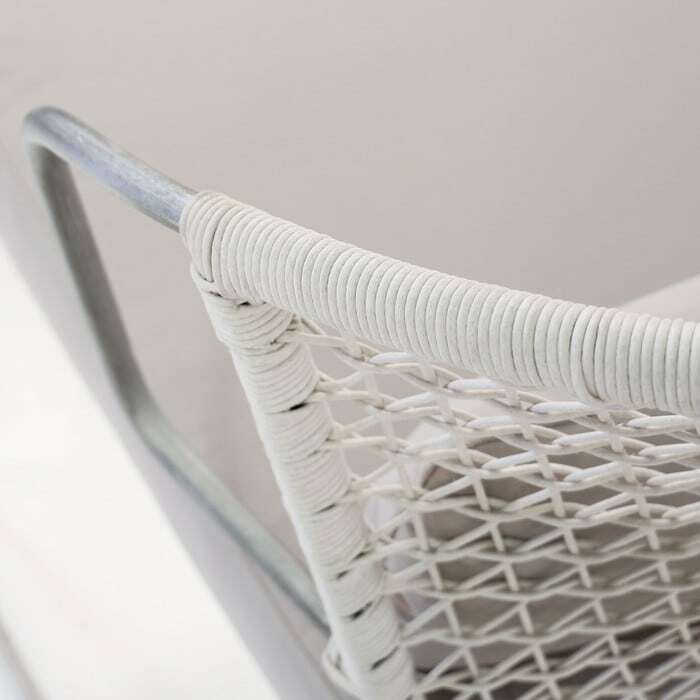 The colour on this resplendent combination of relaxing furniture is “chalk”, a slightly textured and beautifully neutral colour allows for this chair and ottoman to be paired with so many different existing settings and in so many varied spaces. 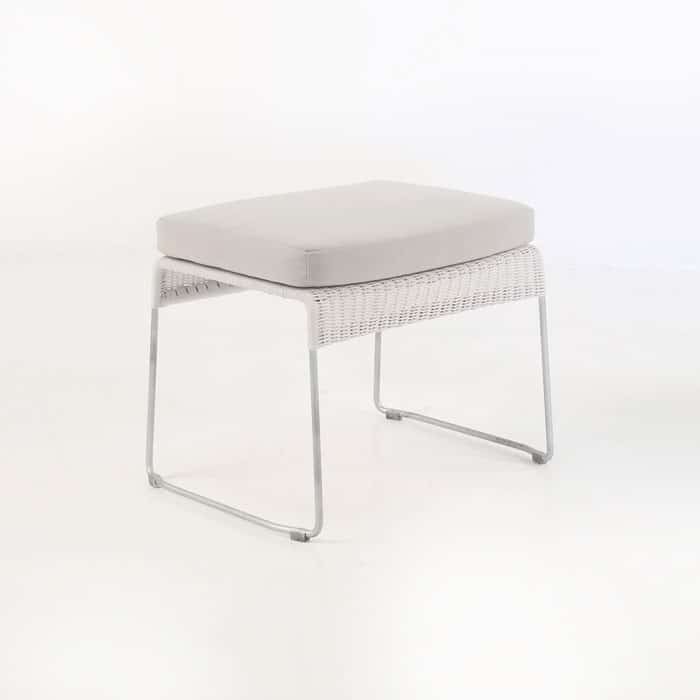 It’s a contemporary enough chair and ottoman to be used with other accessories and indoor or out.